Sip champagne as you ride on the London Eye at night time - the best way to view London at night time! Day 1. Make your way to London Kings Cross Rail Station to begin your short break. 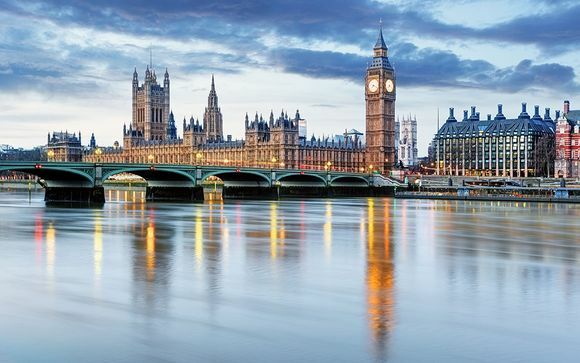 Enjoy a panoramic tour of London, taking in famous landmarks such as Big Ben, The London Eye, the Tower of London and much more. Take a private guided tour of one of London's most famous museums, The National Gallery, where you can see masterpieces such as Van Gogh's 'Sunflowers' or Leonardo da Vinci's 'Virgin of the Rocks'. 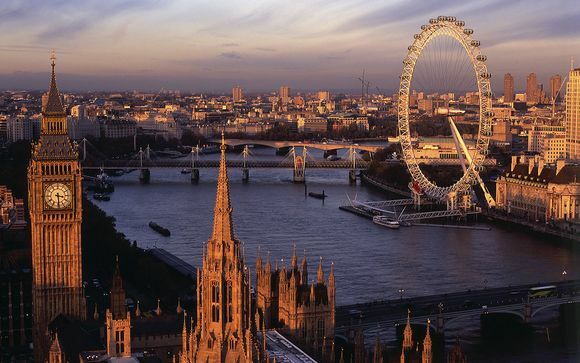 Check into your hotel for the evening before departing for your Champagne Experience on the London Eye. Day 2. Chelsea Flower Show. After breakfast, depart your hotel for your transfer to the Chelsea Flower Show. 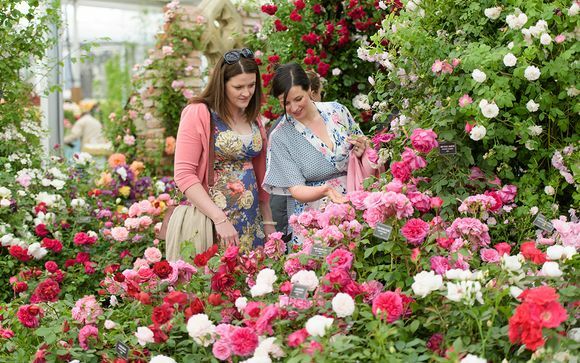 Explore in your own time the show gardens and floral marquees. Shop for unique garden and home products including limited edition sculptures and gardening essentials. This evening is at leisure, giving you the opportunity to try one of the many cuisines that London has to offer. Includes Breakfast. Day 3 Kew Gardens. 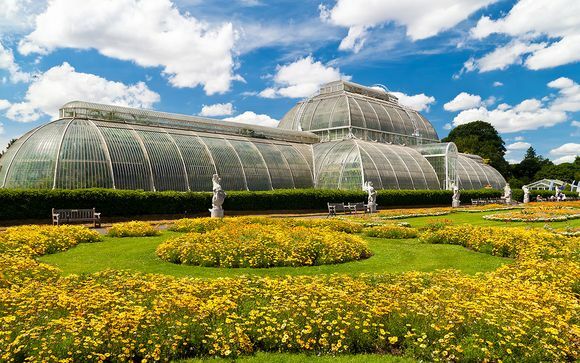 Depart this morning for the Royal Botanical Gardens at Kew - one of the world's leading botanic gardens and a World Heritage site. There are 120 hectares of lawns, gardens, lakes, woods, follies, glasshouses and a treetop walk. Here you will find over 40,000 plants from deserts, rain forests and mountain cliffs from all over the world. Enjoy a behind the scenes tour and lunch with a glass of sparkling wine before returning to your hotel. The rest of the evening is at leisure. Includes Breakfast, Lunch. 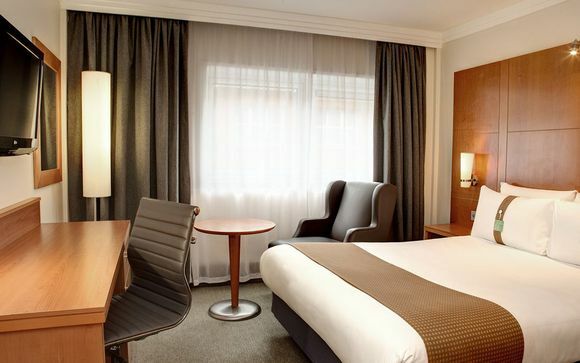 Holiday Inn Regents Park 4*- Stay in a Standard Room on a Bed & Breakfast dining basis. This lovely hotel lies in a leafy and cosmopolitan area of central London and is the perfect base from which to explore the capital! Enjoy a fresh start to the day with an award-winning breakfast. You'll find a huge variety of delicious options to choose from to set you up for a great day. After a day of exploring you can chill out in the Junction Bar and pick front he extensive wine list or full range of local and international beers and spirits. Your comfortable room is a cosy base for your stay in London. With en-suite facilities, HD TV, speedy wi-fi and toiletries, you'll have all you need to feel right at home! You will stay in this hotel or one of a similar standard. Shared transfers are included for members arriving at London Kings Cross Station between 10am-2pm. Please note you are to arrive at London Kings Cross Rail Station under your own arrangements, where you will be met by your representative. Arrival Timings & Transfers Transfers will be included for arrivals at London Kings Cross Rail Station between 10:00 - 14:00.